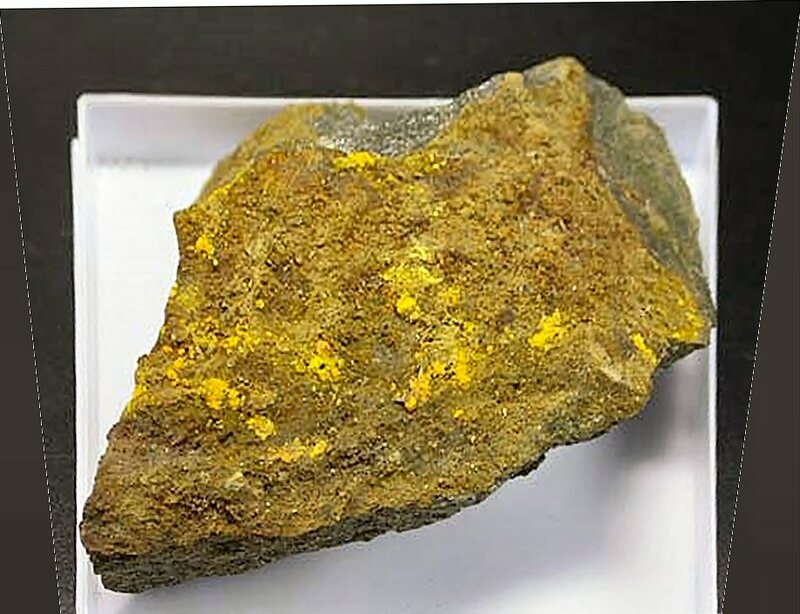 Comments: Powdery and crystalline aggregates of red-brown marecottite and yellow magnesiozippeite on matrix. Location: Svornost Mine, Jachymov, Bohemia, Czech Republic. Scale: Specimen Size 6.5x9 cm.